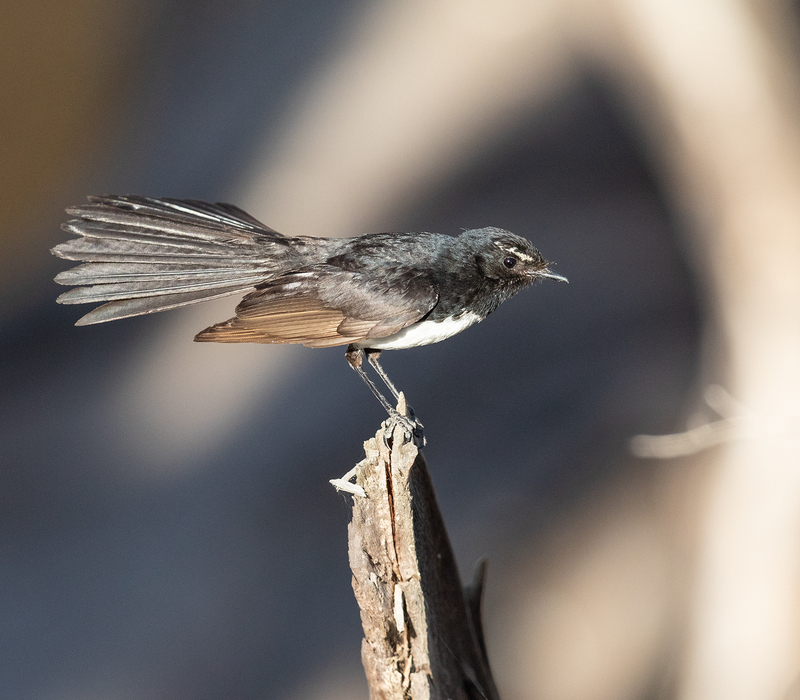 The sound of the Willie Wagtail is synonymous with the Australian bush, found in almost all habitats across the entire continent. For Indigenous Australians it has a special significance, both venerated and feared at the same time. Not surprisingly it features prominently in aboriginal folklore and language, known typically by local names that mirror its voice of ‘sweet agitation’. 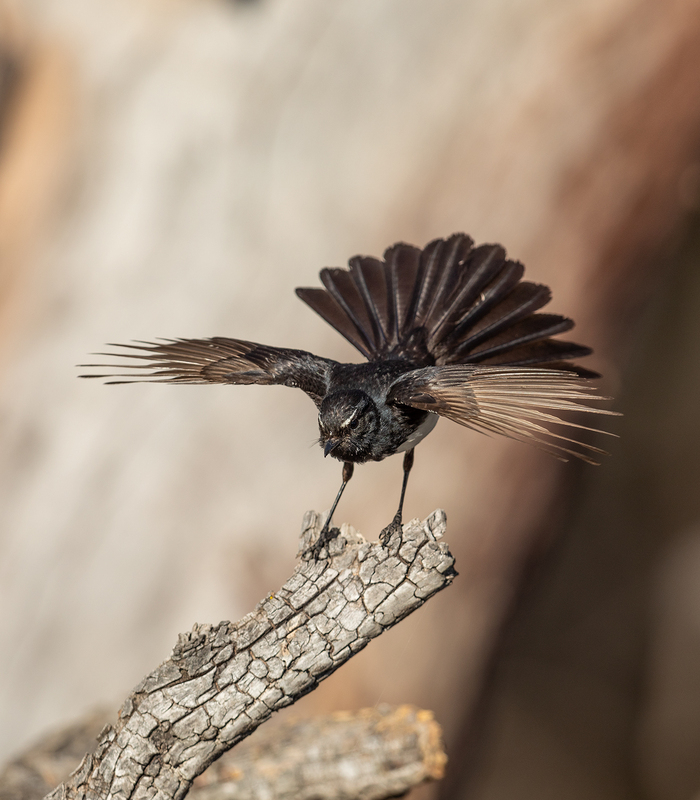 While I’m sure the Dja Dja Wurrung people of central Victoria had a special name for the Willie Wagtail (help please! ), the neighbouring Tjapwurrung call it tjerrap tjerrap, while the Wiradjuri further north know it as djirrijirri. I was surprised to see this pair yesterday evening along the Loddon tending a nest. It is at least their second nesting effort for the season and the parents were not happy with my brief intrusion, displaying in typical fashion while I made my images and departed. 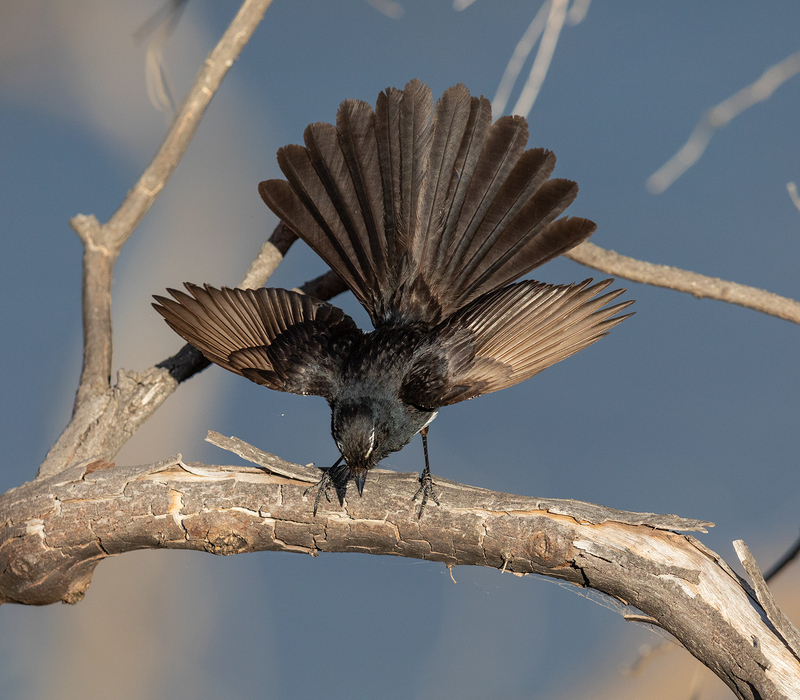 Willie Wagtails almost always nest close to water, very sensible in this hot, dry landscape of ours. 2011. Click here to read. Wesson, S. (2001) Aboriginal flora and fauna names of Victoria: As extracted from early surveyors’ reports. Victorian Aboriginal Corporation for Languages, Melbourne. Click here to read. 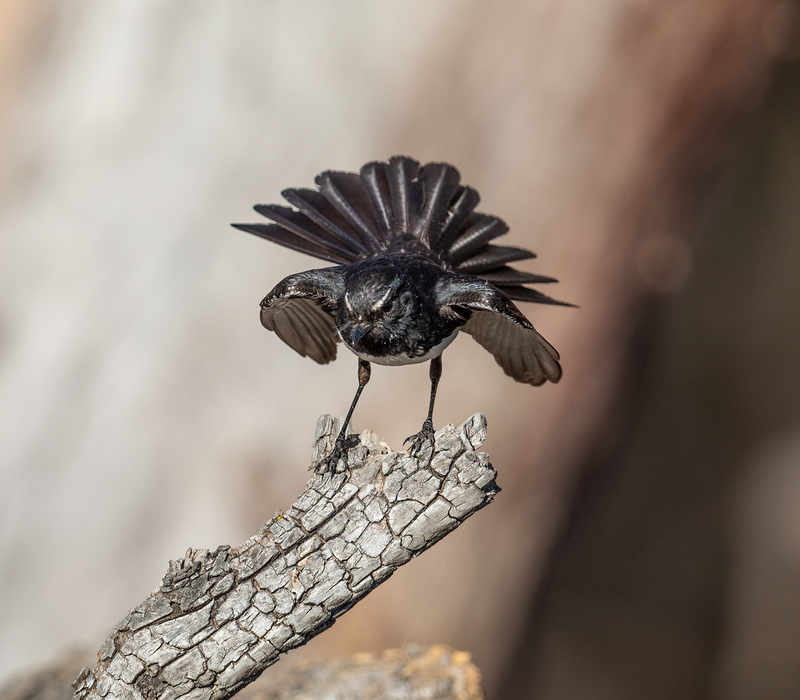 This entry was posted in Bird breeding, Bird observations, Loddon River. Bookmark the permalink. Super shots Geoff, they are great little characters. 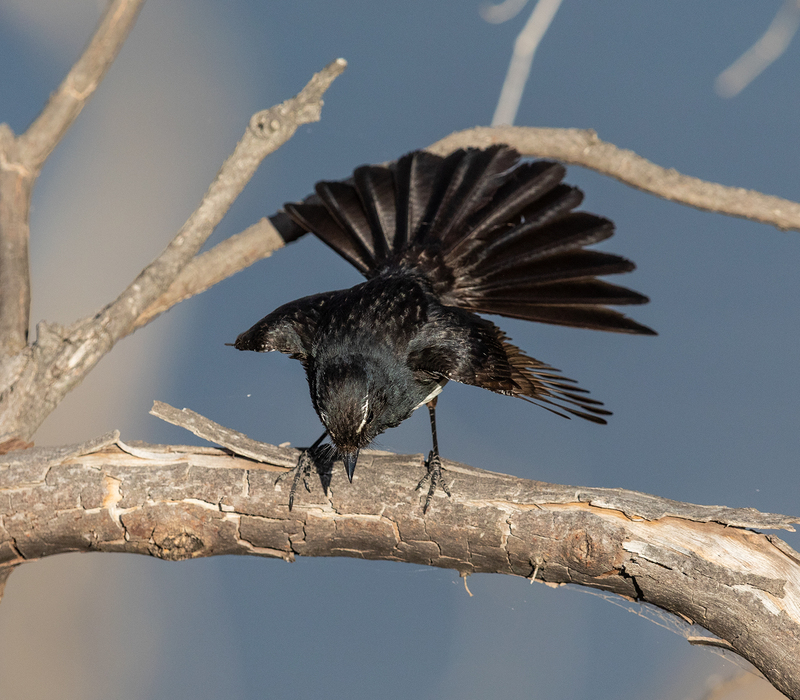 Interestingly, in the Simpson Desert, these fab birds are found well away from any surface water. 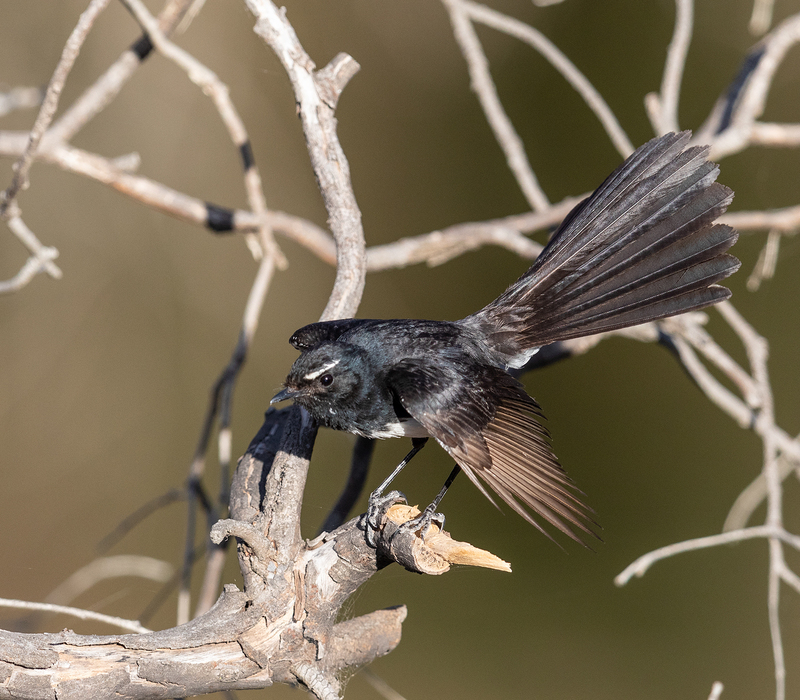 My experience at the eastern and western ends of the desert are that there was a Willie Wagtail at every campsite. And some Aboriginal Victorians see the Willie W as a warning, perhaps of death. The local peoples’ names for the wagtails are fun – both are onomatopoeic! On that topic my local peewee pair are constantly crying ‘peewee’ as they warn interlopers to stay away from the tree they’ve stashed their two chicks in. And the eastern koel male, when he gets a juicy morsel says ‘koel, koel’ excitedly. His lady then comes over and accepts the gift. 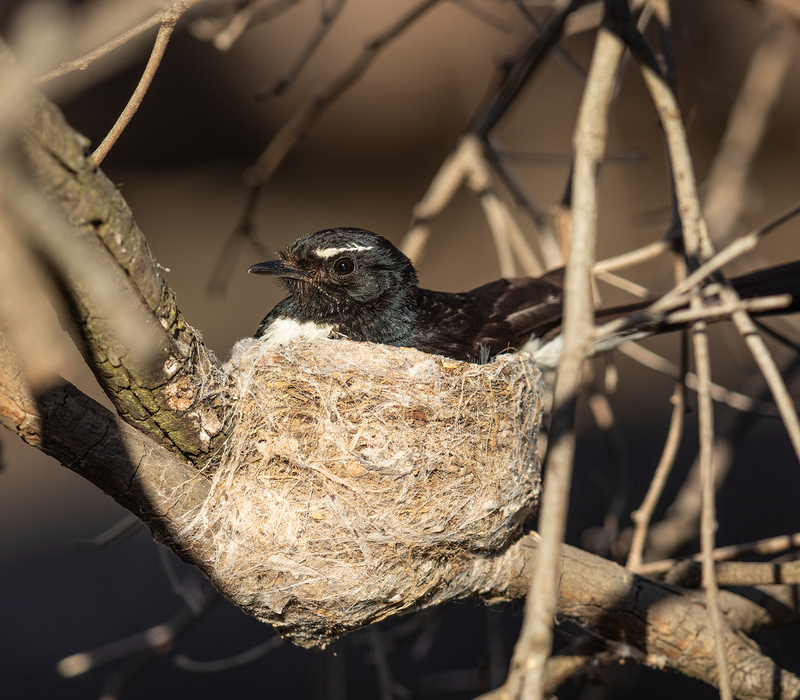 Is one of the reasons the Willie-wagtail nests near water is the accessibility to mud for nest-building? I had a pair near a regular puddle (when it rains) but otherwise there is little water nearby!